A national park, which can only be established by an act of the United States Congress, is a protected area that preserves the natural beauty, unique geological features and the endangered or exotic ecosystems. According to the National Park Service Web site, more than 292 million people have visited one or more of America’s 405 national parks and other units within the past year and have taken advantage of the parks’ recreational opportunities. most dangerous national parks prepared by Shakira Molet. Though there are articles online that list the most beautiful and most visited national parks in the United States, there are not many sources describing the most dangerous ones for visitors. If one were to research the most dangerous national parks within the United States, it would be a toss up between the Grand Canyon National Park and Lake Mead National Recreation Area. The Grand Canyon, which covers 1.2 million acres, was designated a national park in 1919, three years after a certain part of the canyon became a national monument. Because the scenery of the Grand Canyon is so breath taking and there are many recreational activities that can be done inside the park, such as hiking and white water rafting, it is no surprise that the canyon holds the No. 1 spot for the most visited national park in the U.S.
Jet Skis are the No. 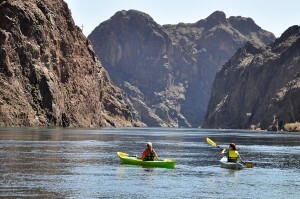 1 cause of accidents at Lake Mead (National Park Service photo by Christie Vanover). However, what most people are not aware of is that with more than 350 reported search and rescue missions and a death toll of about 12 lives each year, the Grand Canyon is easily considered one of the most dangerous national park in America. Lead Mead is well known for the recreational opportunities available. 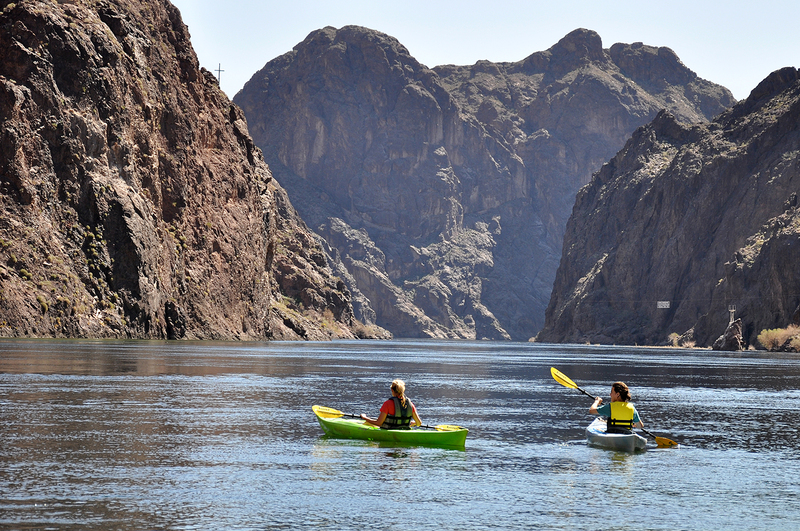 At right, kayakers enjoy the lake’s Black Canyon area (National Park Service photo by Christie Vanover). In addition to the Grand Canyon, the largest reservoir in the U.S., known as Lake Mead, is also top on the list for the most dangerous national parks. 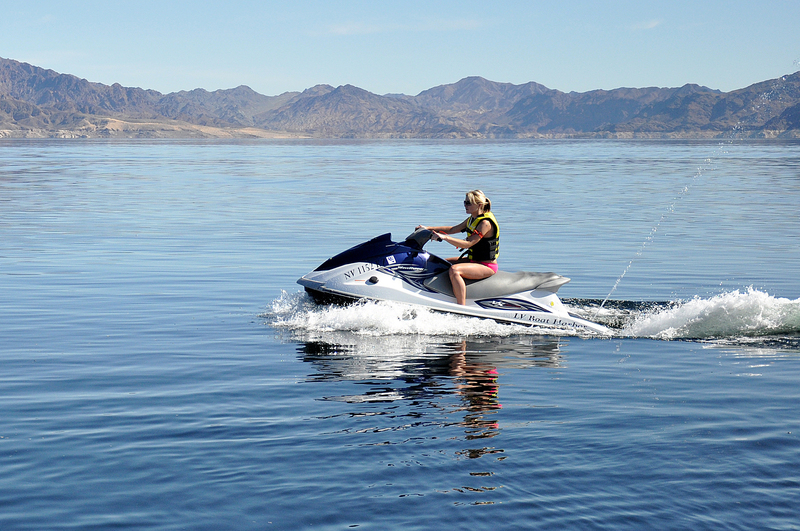 Created in 1935 with the construction of Hoover Dam near Las Vegas, Lake Mead is a water sports playground covering 186,000 acres of water with little to no regulations. Not only has a lack of rules caused more than 75 search and rescue missions and averaged 20 deaths a year, but it has also led to Jet Ski and boating accidents, drownings, drug-overdoses, suicides and even the occasional homicide. With this in mind, its not wonder why Lake Mead is considered the rowdiest, bawdiest, most unrestrained national park in the system. Another park that has always been beautiful, but dangerous is Yosemite National Park in California. With spectacular waterfalls and stunning mountain vistas, the 1,200 square mile park that was created in 1890 brings more than four million viewers a year. However, with narrow and slippery cliff trails as well as unrestrained wildlife surrounding the area, visitors are always at risk being injured or even killed. Although there have not been many recent deaths in the park, there are more than 250 search and rescue missions annually, making this park a close second to the Grand Canyon and Lake Mead as one of the most dangerous national parks in the country. 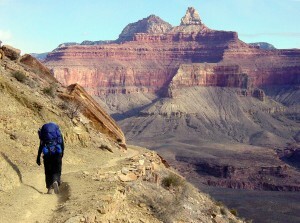 At right, a lone hiker explores the Grand Canyon. Below, though scenic, the Grand Canyon National Park is one of the most dangerous national parks in the U.S. (Photos courtesy of the National Park Service). So what could be done to improve these statistics and make the parks safer? For the Grand Canyon and Yosemite, its is absolutely necessary for individuals to come completely prepared to deal with the wilderness and preferably be accompanied by a guide that can help navigate visitors in and out of the parks before dark. It is also important for the public to be aware of the dangers that interaction with wildlife may present, especially at Yosemite. If tourists were to carefully plan out their trips into these parks before hastily rushing in with no prior knowledge of the area, then the number of SAR missions and deaths may dramatically decrease. As for Lake Mead, new guidelines that will preserve the free atmosphere of the lake, but also increase safety have been considered. Some examples of these possible guidelines would be requiring boat safety training and banning alcohol in high-traffic areas at certain times. Unfortunately, despite the new rules, Lake Mead will probably continue to keep the top spot as the most dangerous national park system unit in the United States. Although there is no doubt that the national parks within the U.S are one of the country’s crowning jewels, individuals should recognize the beauties as well as the dangers each park possess. Most experts agree that, if everyone were to become a bit more knowledgeable about the particular parks they are visiting and practice more caution while actually in the parks, it is possible that the overall risk will decrease along with the amount of deaths and number of search and rescue missions in each national park.